Gianni's Boat on Capri. 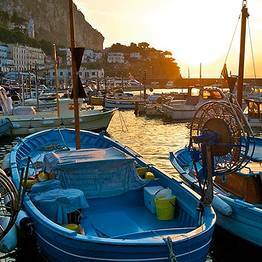 Join Gianni on his "gozzo" to explore the best of Capri by sea! 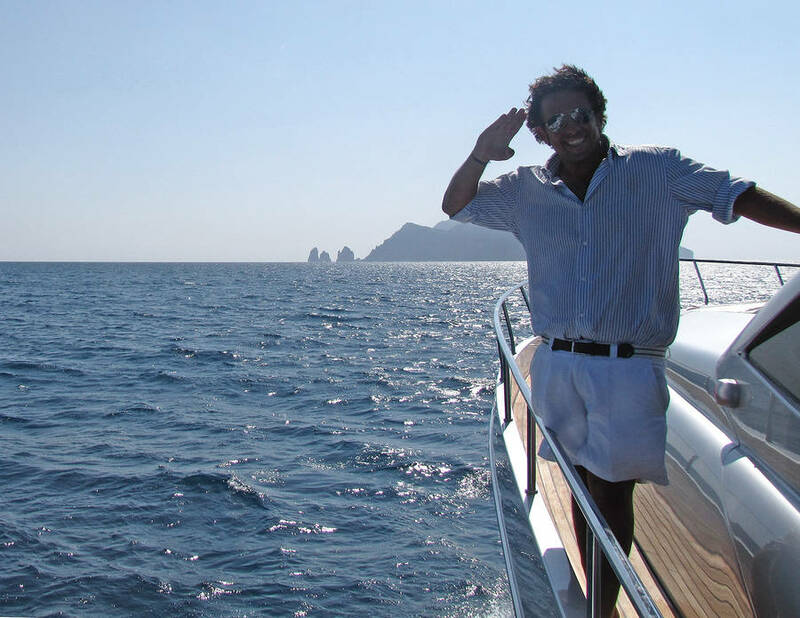 Gianni's Boat - Join Gianni on his "gozzo" to explore the best of Capri by sea! 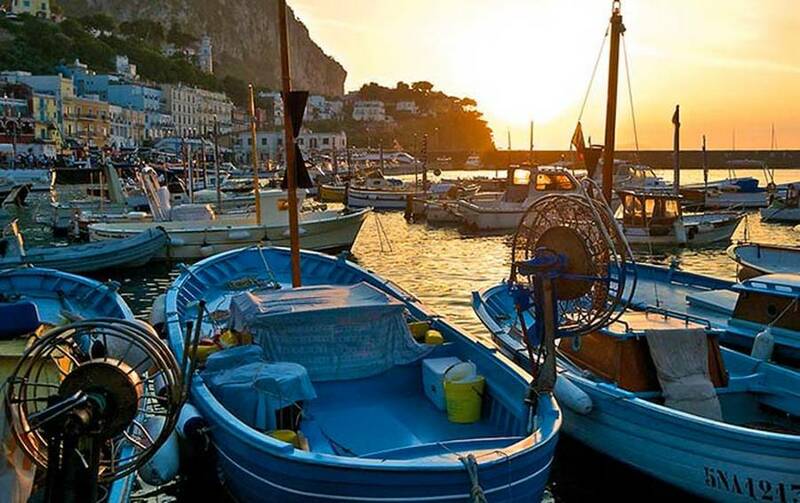 With its comfortable and well equipped boats, Gianni's Boat is the perfect choice if you want to experience the magic of the sea surrounding Capri. 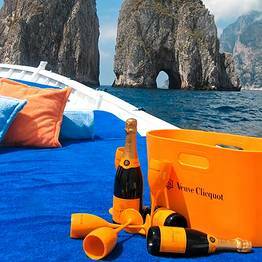 Discover Capri from the sea, sailing in the shadow of the imposing Faraglioni rocks, visiting the Grotta Bianca, and taking a dip in the island's crystal clear waters, in a secluded inlet or in the bay of Marina Piccola. 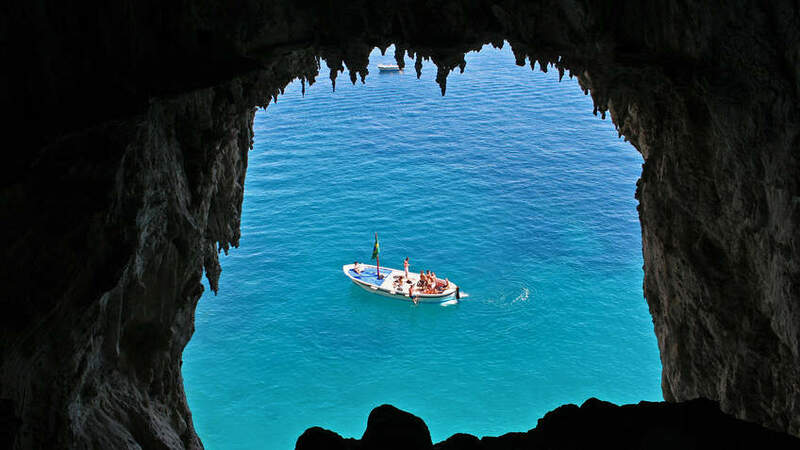 Want to visit the legendary Grotta Azzurra? Let Gianni know, and he'll include it in your tour. 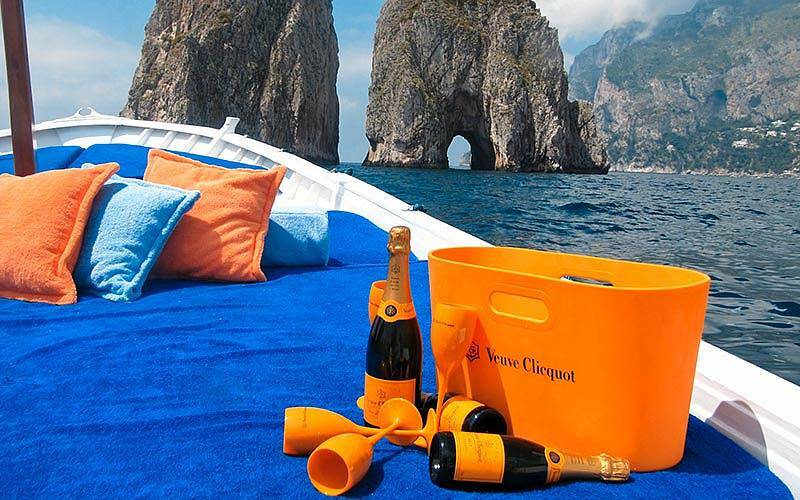 Gianni's Boat provides excursions aboard a10m long traditional Gozzo Sorrentino with large sun deck, cabin, changing room, and ice box containing soft drinks, Capri's Limoncello liqueur, Veuve Cliquot champagne and fresh fruit. Music is provided by way of an on board stereo'''. Fancy an on-board massage performed by a professional massage therapist? No problem, Gianni will arrange it! 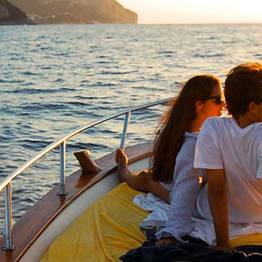 Sunset tour with aperitif: romance on board! Gianni's Boat also offers special packages for bachelor and bachelorette nights, including an evening at a local restaurant and club. 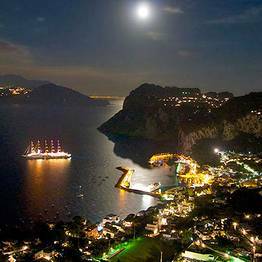 Surprise your friends or relatives with an excursion around the Bay of Naples or a tour of the island: the ideal gift for newly weds honeymooning on Capri and for those celebrating a special occasion or birthday. Gianni's Boat also operates a professional transfer service. 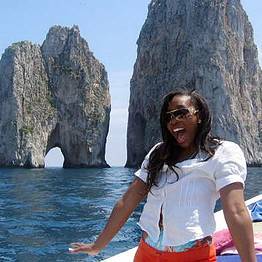 This exciting and complete tour of the island is perfect for those of you who wish to visit all the caves and beauty spots of Capri. 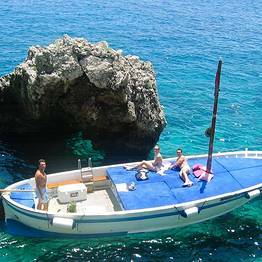 A visit to the Blue Grotto is possible if it is open on the day, depending on the tide. We are informed around 9am each morning of its status. 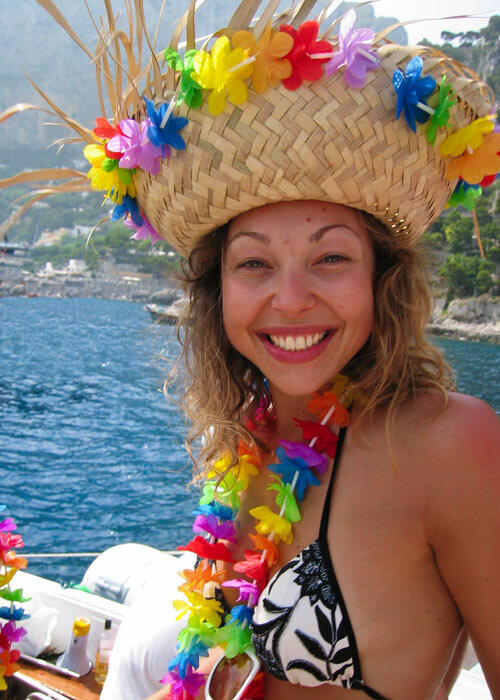 "My wife, parents, and I did a 3 hour private boat tour around the island. 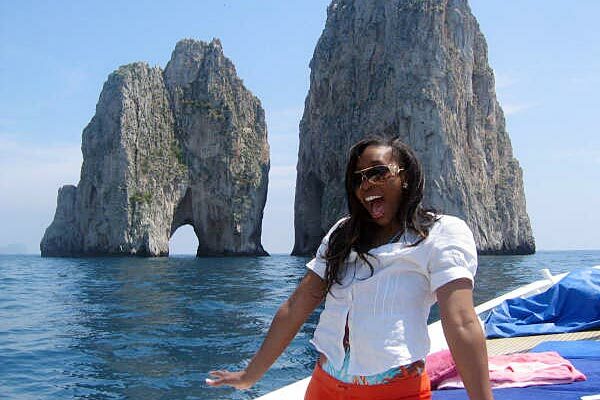 It was one of the most memorable and enjoyable things we did on our entire two week Italy vacation. Highly recommend it!" 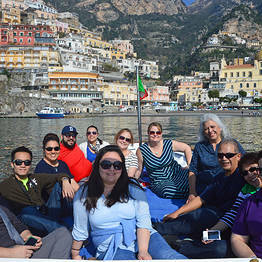 "We did a full day boat tour of Capri - it was one of the most memorable days of our 10 day Italian trip. 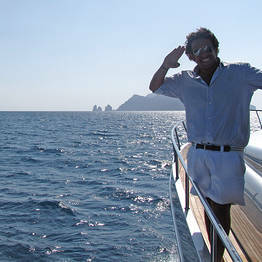 Our captain Gianluca was friendly and informative. " Gianni's Boat: "Wow! Thank you! 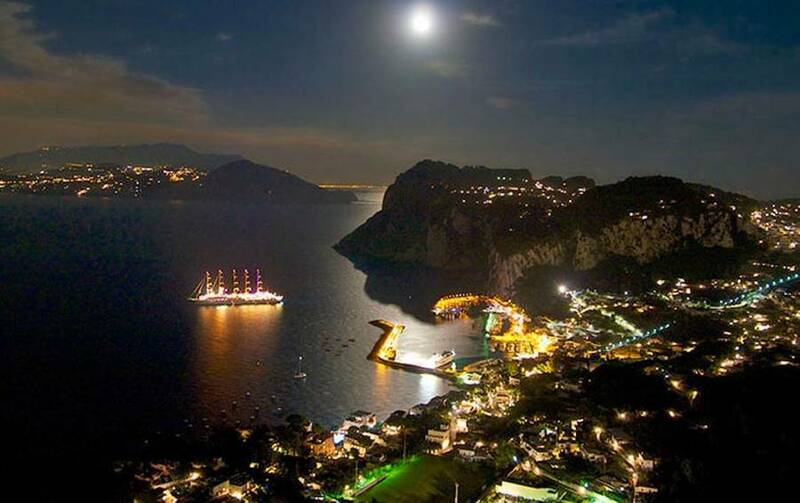 Come back soon to Capri!" 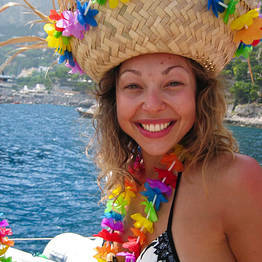 "Great trip from start to finish - well organised and friendly. Relaxing and no time pressures. 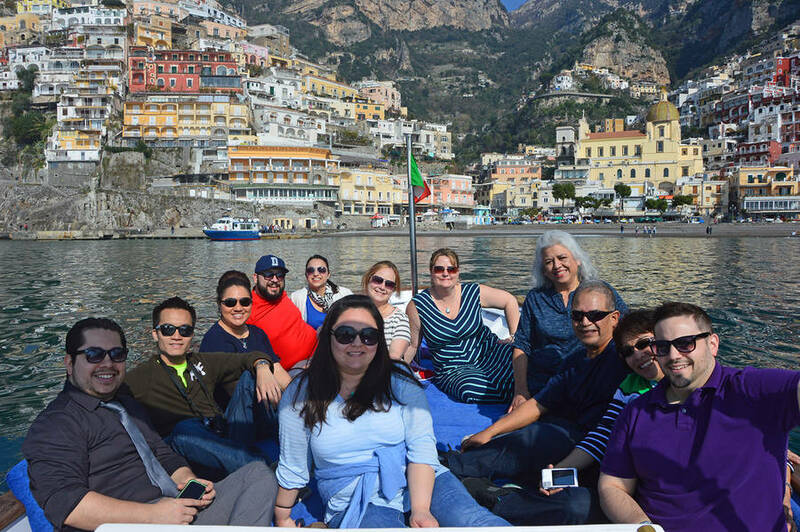 Great captain - good value for money"
"The 8/9 hour, small group tour from Sorrento to Capri, with time on Capri and a sea tour of the island with captain Sebastiano in charge, was an absolute delight! Recommend you find time to do it!" 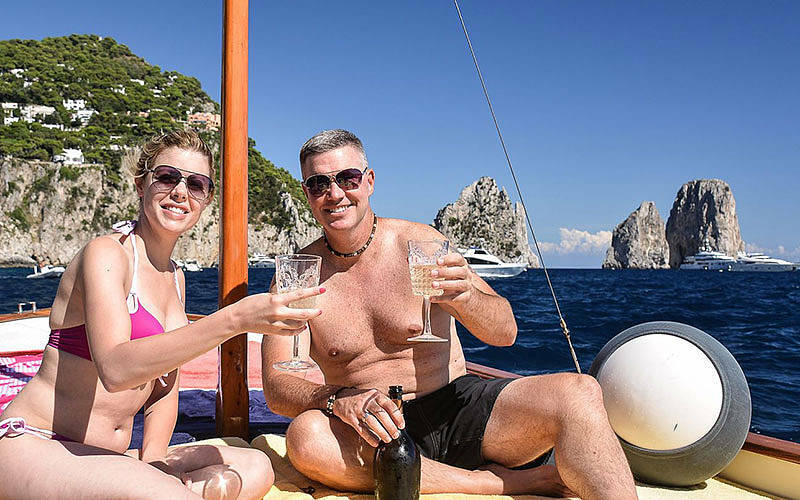 "We had the most amazing day on Jan Lucca's boat and he was the perfect Captain and host, it was my husbands 70th birthday and everything was great. " 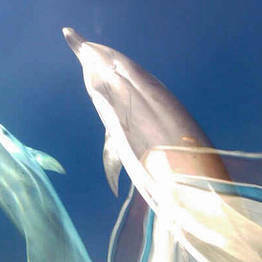 "Sebastiani and Sergio were excellent hosts. My 2 teenage sons, husband and I took an 8 hour tour to and around Capri. 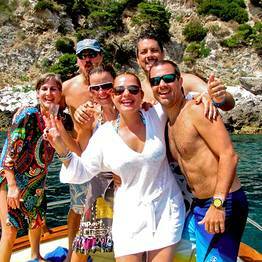 Great lunch, lots of drinks, fabulous swimming and snorkelling, time to tour Capri"
"Absolutely wonderful and the best thing we did during our stay on the Amalfi coast. Skipper Gianluca couldn't have been better. 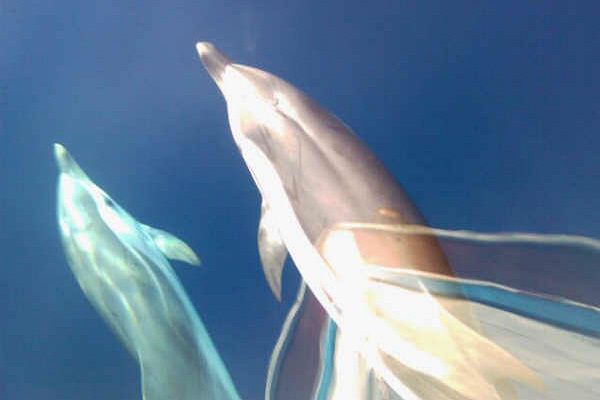 Helpful, funny, informative - the experience was worth every euro. " "Highly Recommended, Our Captain Mickey (If I remember his name correctly) was knowledgeable, friendly and extremely accommodating!" Gianni's Boat: "Thank you so much!"